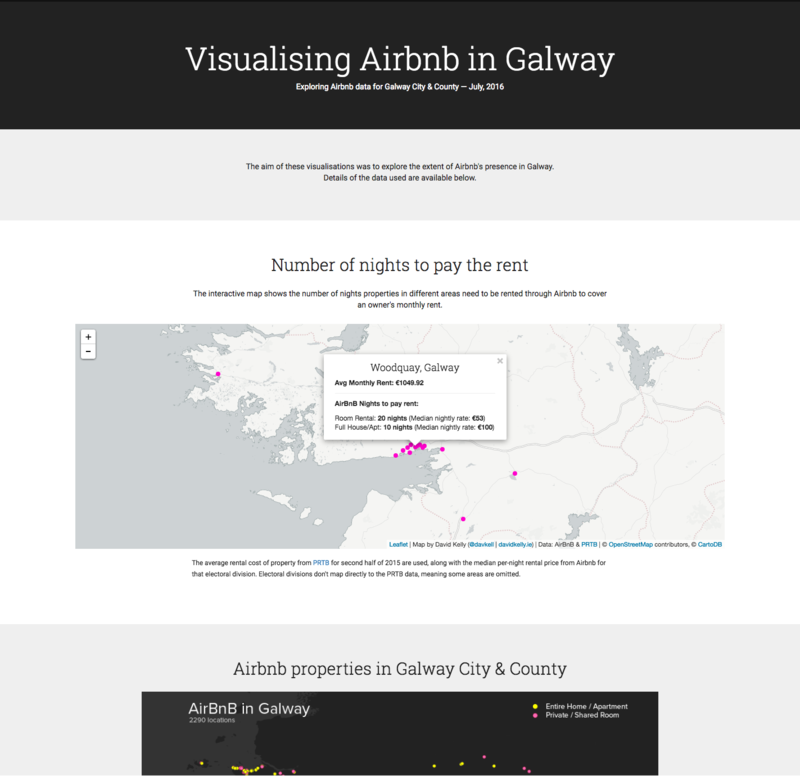 I did some work exploring the number of Airbnb rental properties in Galway – it was inspired by a number of articles looking at the impact of Airbnb in a number of other cities and regions. You’ll find links to those articles at the bottom of: www.davidkelly.ie/airbnb. One of the questions I was curious about was how many nights would a property need to be rented through Airbnb to cover the owner’s rent – that’s dealt with in the interactive map. The rest of the visualisations explore the spread of the rental properties throughout the city and county. They also make use of open data published on rental costs and property vacancy rates. Digital Humanities Manager at NUI Galway.